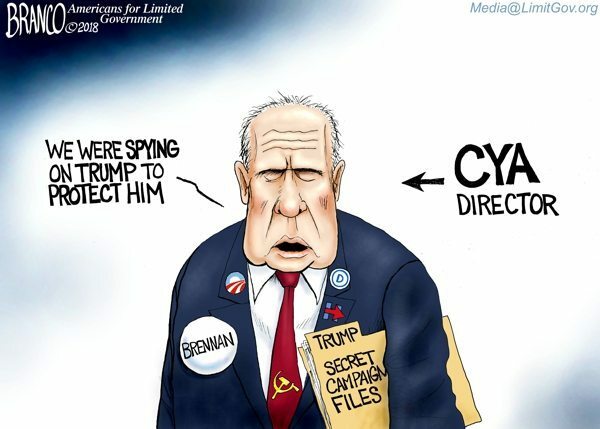 The once communist sympathizer and former CIA director for Obama is now the director of CYA (Cover Your A*S) for the Deep State, FBI, Clapper, and Comey. Political Cartoon by A.F. Branco ©2018. Used with permission. More here.